Early Voting begins 17 days before each election. All registered voters may vote early in person at any early voting location in their county. Check with your local newspaper or your county clerk or election administrator for early voting times and locations. Compare candidates with the League's nonpartisan Voters Guide. Voters may request more voting hours! 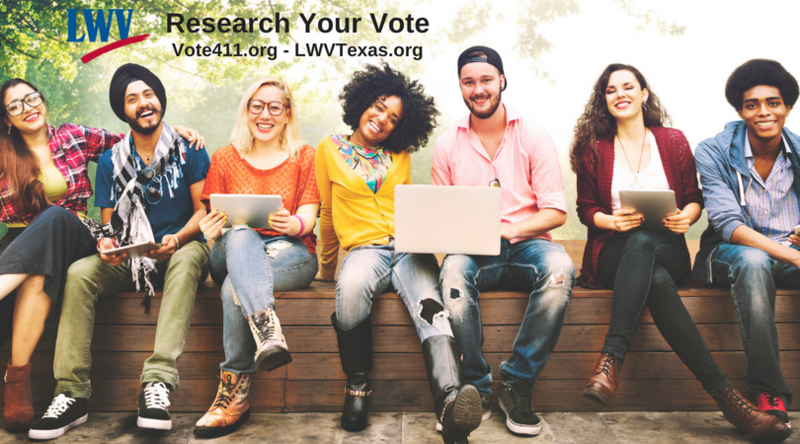 Note: Counties with less than 100,000 population are not required to provide weekend hours or extended hours for early voting but voters may request more voting hours. Find current early voting hours on your county website! Let us know at Texas Election Protection (866- 687-8683) of extremely long lines or any problems at the polls.